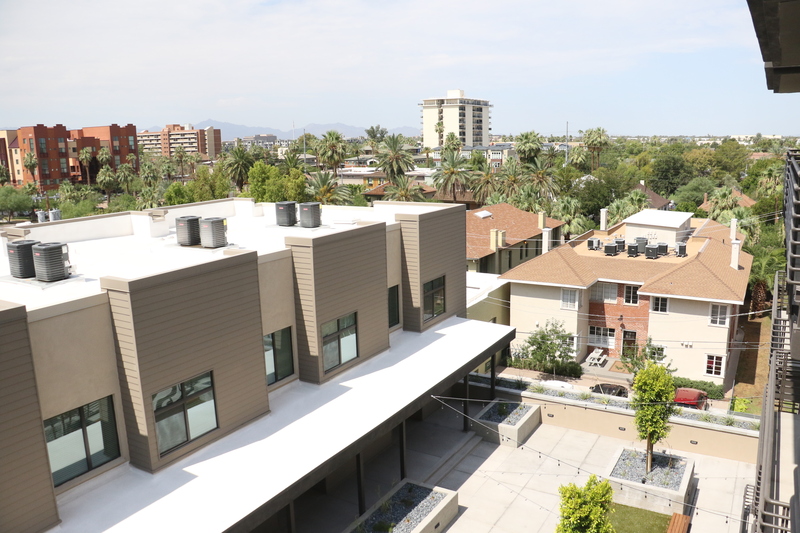 Downtown Living: Union @ Roosevelt Adds Sustainability, Walkability to Downtown Apartment Options - Downtown Phoenix Inc. 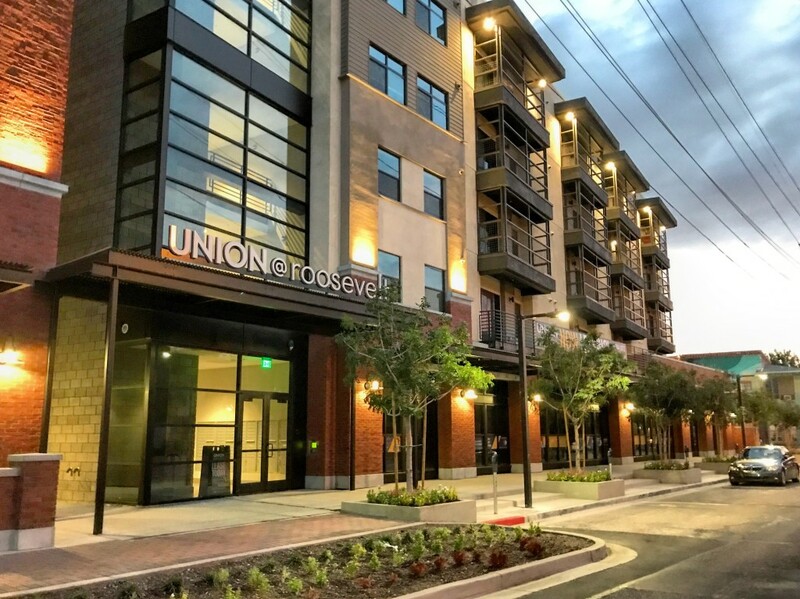 Located at First Avenue and Roosevelt Street, Union @ Roosevelt is the latest residential development to open its doors in greater Downtown Phoenix. 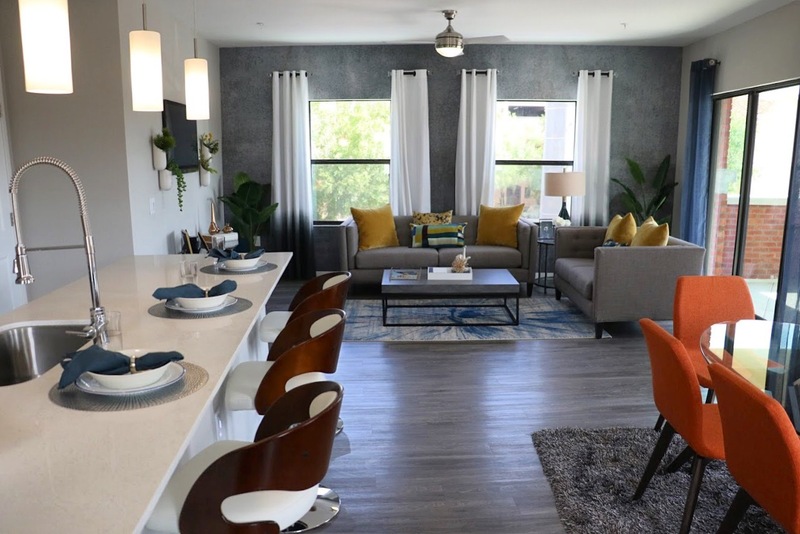 Led by local company Metrowest Development, Union brings 80 new apartments to the list of 818 total downtown residential units completed so far in 2017. What makes it unique, however, is its focus on creating a true, walkable urban neighborhood. “The whole design focused on the streetscape and ground-floor experience from day one,” said Matt Seaman, principal of Metrowest Development and downtown resident since 1996. Through Metrowest, Seaman has also headed up other developments in the Roosevelt neighborhood including Townhomes on 3rd, McKinley Row (currently under construction), and other historic preservation projects. With the exception of a small leasing office, the entire ground floor consists of restaurant and retail spaces, which aim to keep the corner activated from morning to night. 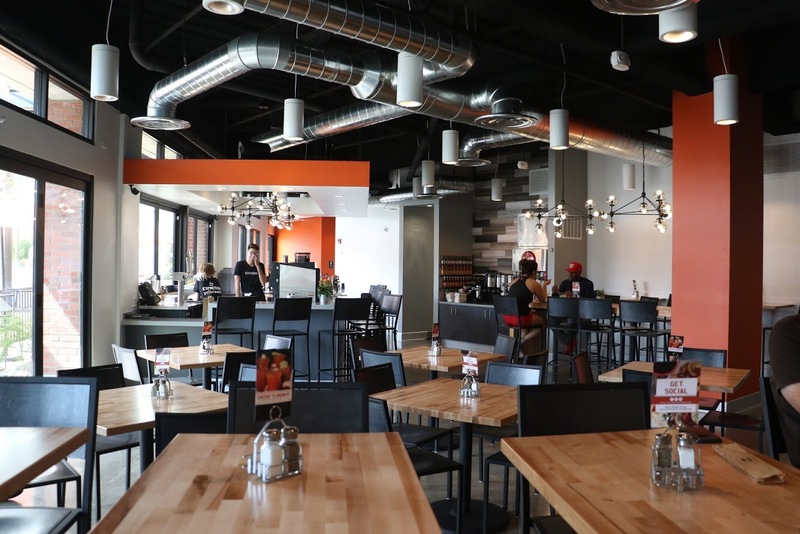 Local breakfast and lunch cafe Ncounter was recently the first tenant to open its doors. The space features a chic, contemporary interior and shaded patio along First Avenue. Seaman also said that a wine bar is slated to open on the ground floor, as well as a unique, craft cocktail concept. Though exact details have yet to be announced. 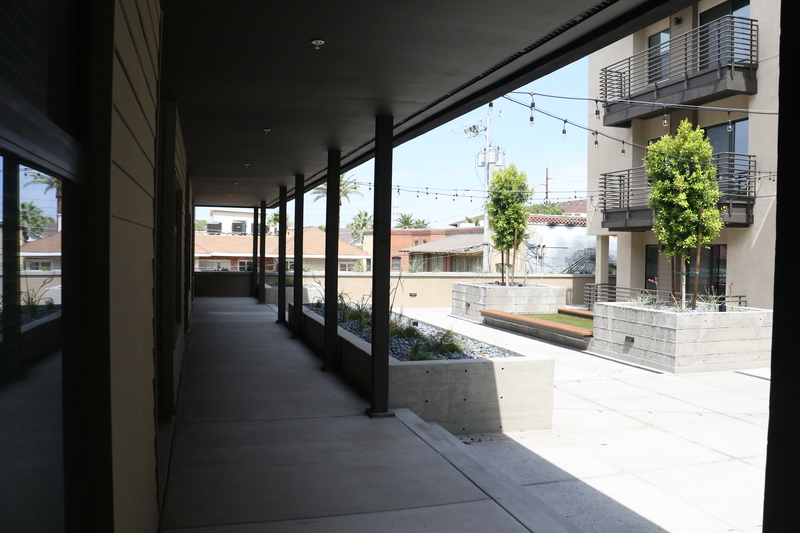 Positioned in the gateway corridor to Downtown Phoenix, the development fills what had been a vacant lot for more than 40 years. 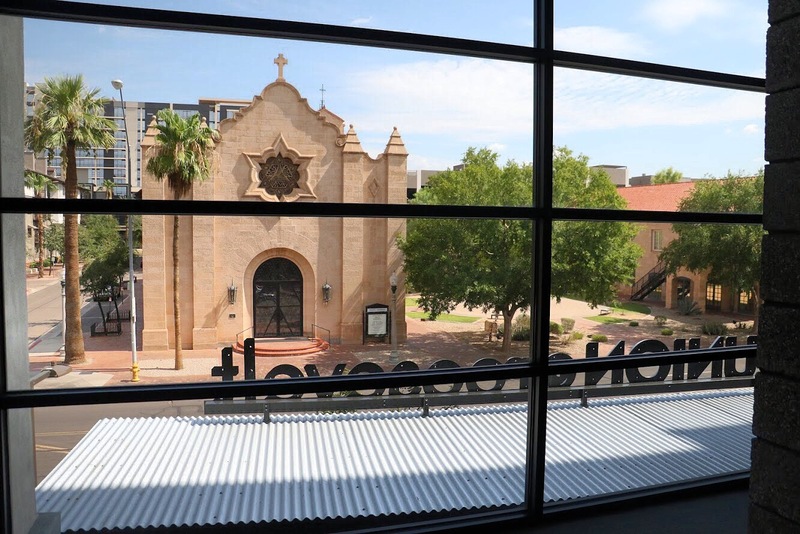 It’s a critical part of downtown, with Trinity Cathedral to the north, DeSoto Central Market to the east and caddy-corner to the Central Avenue and Roosevelt light rail station. 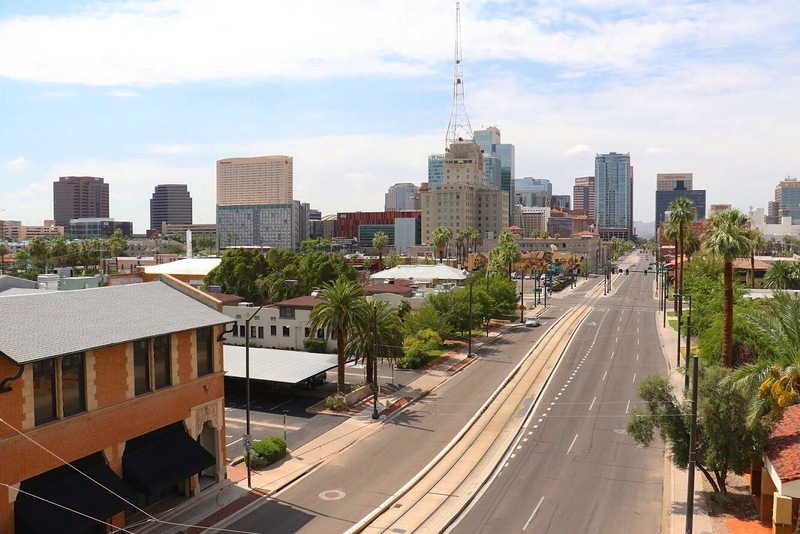 “With such a prominent location, it sets the tone for downtown as a mixed-use, vibrant urban environment,” said Dan Klocke, vice president of development at Downtown Phoenix Inc. Similar to other millennials gravitating toward urban living, the overall vibe is what initially attracted Tanya Moushi — a 29-year-old web design and startup consultant. She was the first tenant to move into the Union. Originally from Chicago, she said that her friends in well-established cities like San Francisco, Chicago and New York don’t really get it. But Moushi stays in Downtown Phoenix for reason. Besides the convenience of living in the walkable Roosevelt neighborhood, sustainability is another selling point for house-hunters. A sustainable landscaping medium called “structural soil” was used to ensure that the trees along the sidewalk thrive and provide shade for years to come. Made up of pavers separated by small pebbles, the structural soil allows water to seep through to the roots of the trees instead of running off into the street. The design also allows the roots to grow deeper. And as a bonus, the pavers add character to the street-level experience. While walkability and bikeability are important in an urban center, the reality is that parking is still important for many people. 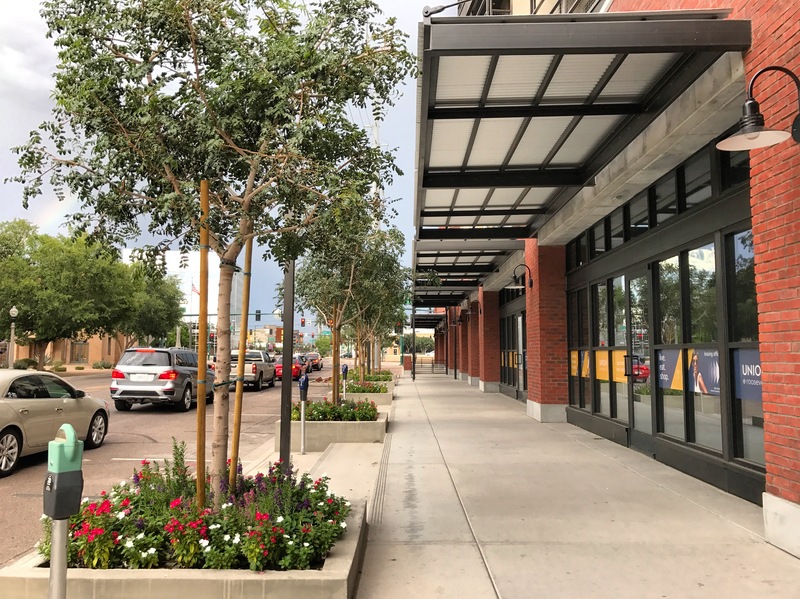 The development takes this into consideration by offering on-site parking for retail customers (free with validation), and a handful of metered parking spaces along Roosevelt Street. Residents have access to a separate underground parking garage. 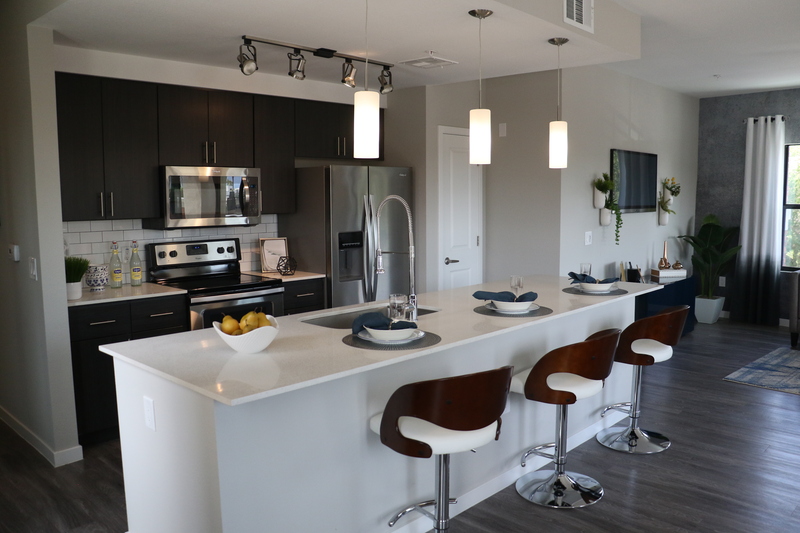 The units are spacious and bright, with subway tiles in the kitchen, stainless steel appliances and contemporary fixtures. Most units offer sweeping views of the city and private patios, which are larger than the standard apartment size. 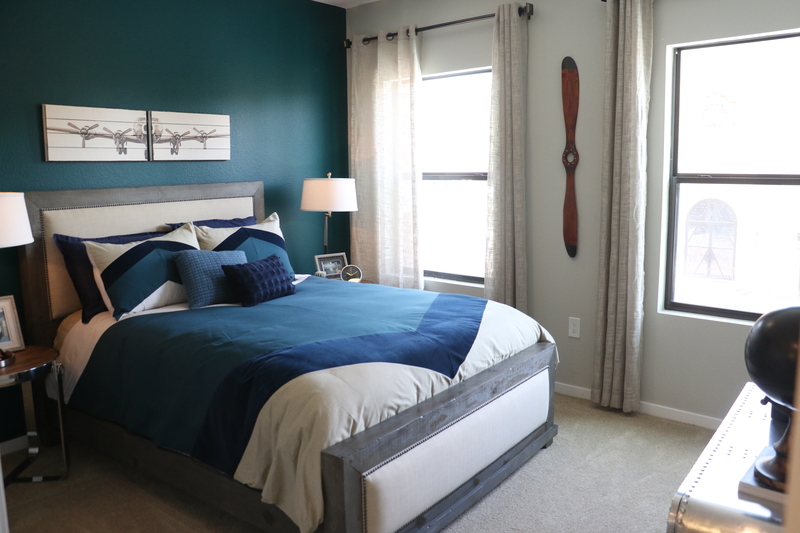 Union @ Roosevelt units range from 548-square-foot studios to two-bedroom 1,460-square-foot townhomes. Prices range from $925 to $2550 per month. Metrowest Development is a part of Phoenix Community Alliance, the business membership affiliate of Downtown Phoenix Inc.